Read But Never Red » Read But Never Red » ‘Ullo Pep! Gotta New Motor? 66 ‘Ullo Pep! Gotta New Motor? Here’s the deal. 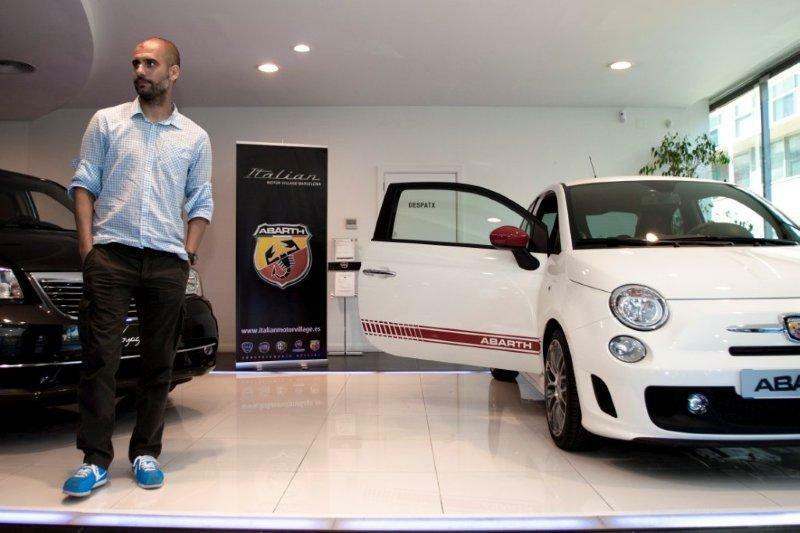 You’re Pep Guardiola and you’re looking to buy a brand new car. Your existing motor has too many miles on the clock and isn’t up to the job of taking you where you want to go. You need to trade up, but even though you’re aiming high, you still have to work within a budget – what do you do? It’s always nice to have a speedy model with a big engine – be it of English, French or Brazilian extraction – just as long as it’ll run all day and deliver a great performance up and down the outside lanes. Speedy French vehicle with plenty of power. Safe handling, excellent grip – especially on corners – and a faultless stopping capacity, is a priority, especially when your existing vehicle from South America is a bit dodgy. What sort of budget do you have to play with Pep? Of course, you want an eye-catching number, something impressive that’ll move smoothly through the gears and not look out of place, even if was to compete at Monaco. Your current car was leased over three years ago and is due to go back, but ideally you want to pay slightly less per month, but for a much better car. Dodgy handling and not brilliant on corners – time for an upgrade! So, how’s that going to work? By putting money down up front, taking the car over four years, instead of three, and doing a PCP deal rather than a lease, you can reduce the monthly costs by nearly £40. 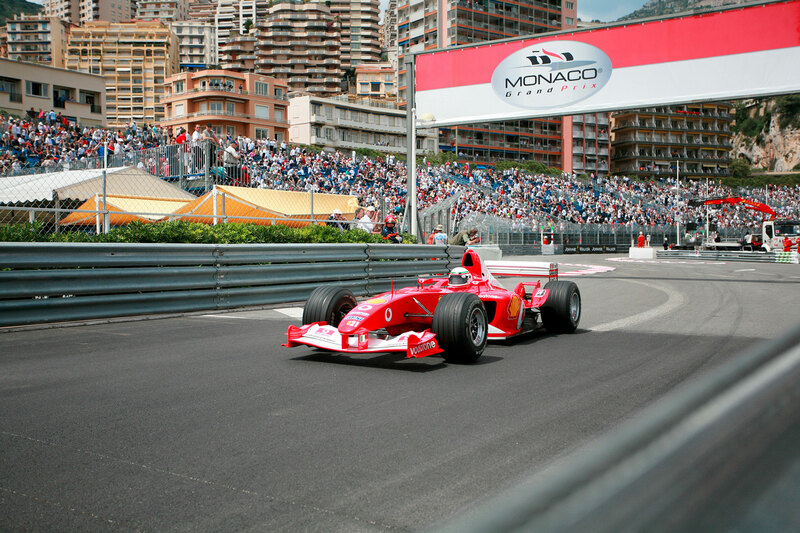 Performs well in Monaco…shame about the colour. That monthly reduction should save you nearly £2,000 over the life of the deal, which is more than the £1,000 you’ll have to put down as an initial deposit. But what the hell has all this car malarkey to do with Manchester City’s summer transfer dealings you might ask? City are the first Premier League club to have ever spent more than £200m in a single transfer window, and there’s probably at least another £100m to go before the window closes on August 31st. 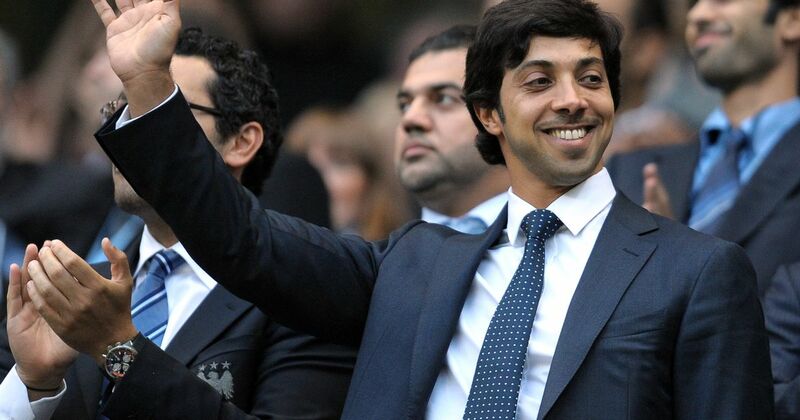 Sheikh Mansour has invested hundreds of millions of pounds in transforming the fortunes of Manchester City. Such perceptions of profligacy sit at the core of the ridiculous, green-eyed assertion that City are somehow ‘ruining football’. Time for some ‘out of left field’ thinking and analysis of what appears to be an extravagant policy of spend, spend, spend…and then spend a bit more. It’s an outrageous hypothesis, but as things stand, what if City have actually spent next to nothing in this summer, when viewed as part of a longer term fiscal strategy? 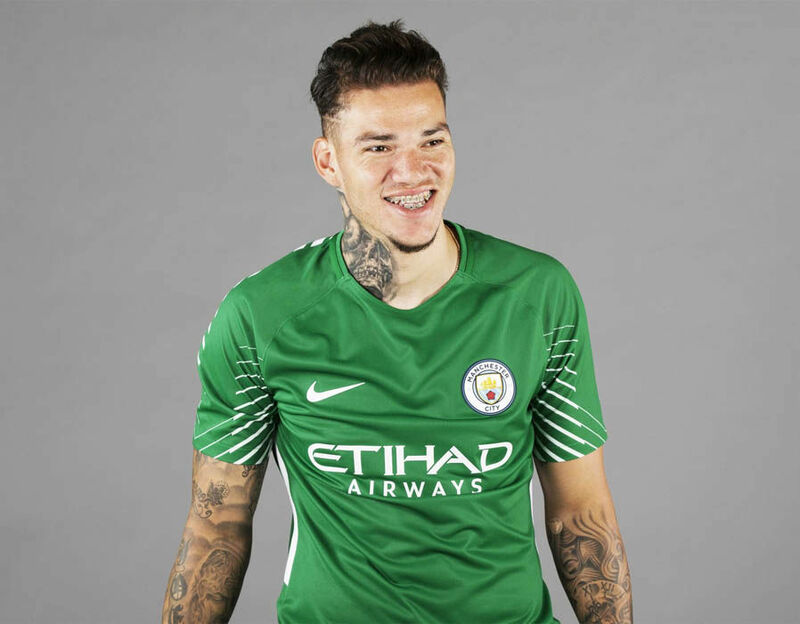 Superb handling – City’s new keeper Ederson looks like the real deal following his £34.5m switch from Benfica. Having fallen foul of UEFA’s wholly inappropriate and ill- founded, Financial Fair Play rules, (if ever there was a contradiction in terms FFP is it), City will make damn sure they never do so again. 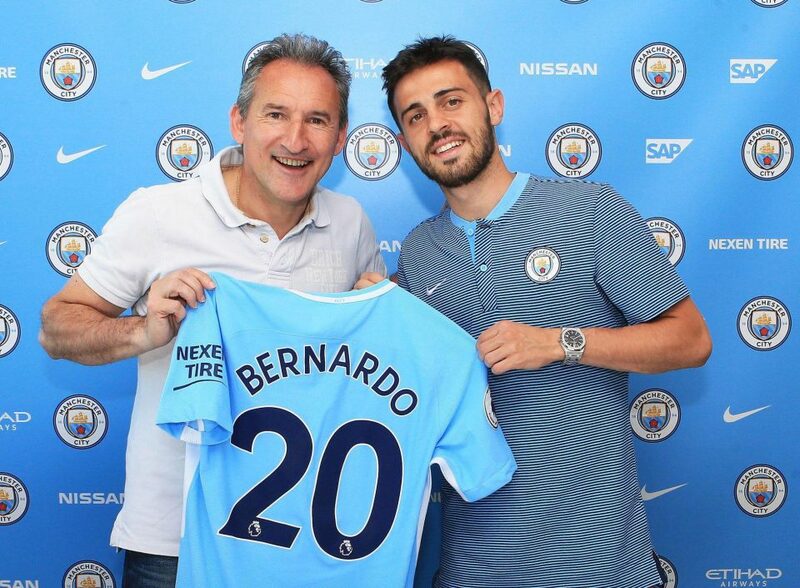 So how can City’s Chairman, Khaldoon Al Mubarak and CEO, Ferran Soriano, reconcile a projected £300m spend on transfer fees, let alone the multi- million pound salaries of the new players? 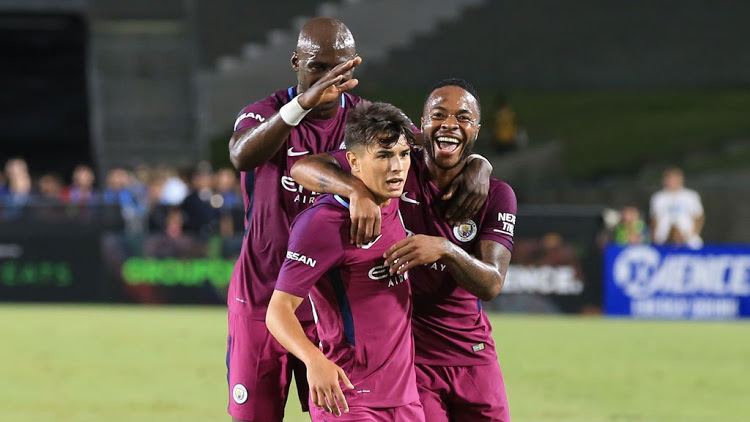 CFA graduate and City wonderkid Brahim Diaz celebrates his goal in the Los Angeles Coliseum. Of course, there’s a flip side to the glut of big money signings, and that is the selling/offloading of existing players to help balance the books. For years now, Arsenal fans have loved the concept of ‘net spend’, comparing fees out and fees in. The smaller the difference the better in their eyes, as they cling to the misguided idea that the Gunners have been wronged by other clubs who are prepared to pay big transfer fees and wages. 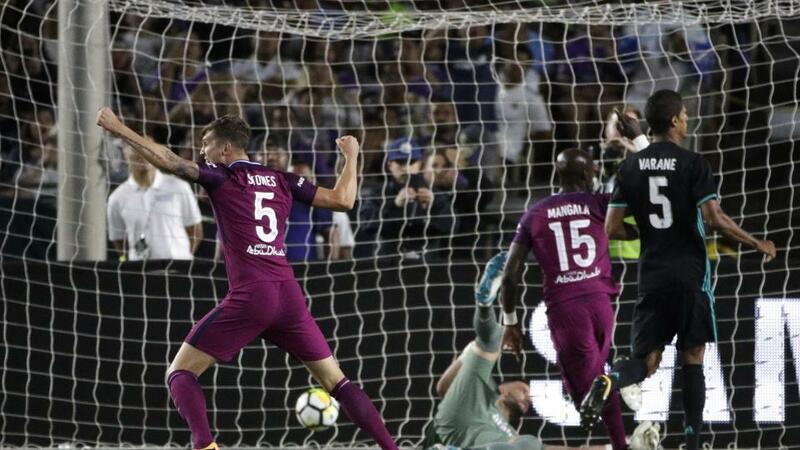 John Stones sporting his new Number 5 shirt scores against Real Madrid in LA. But there’s a lot more to it than simply comparing the amount paid out on incoming transfer fees and the sums raised from the sale of outgoing players – hence the car analogy, where you can sometimes get more for less. The same principle can, to a large degree, be applied to footballers. Zaba will always be a City Legend, but sadly he had too many miles on the clock for Pep’s requirements. To illustrate the point, let’s go back to June when a number of player contracts ran out, specifically, Caballero, Zabaleta, Clichy, Sagna, Navas and Yaya Toure. Only Yaya was retained – reportedly taking a pay cut – on a new one year deal. Another four senior players had been loaned out in 2016/17, namely Hart, Mangala, Nasri & Bony, with their days at the Etihad numbered. 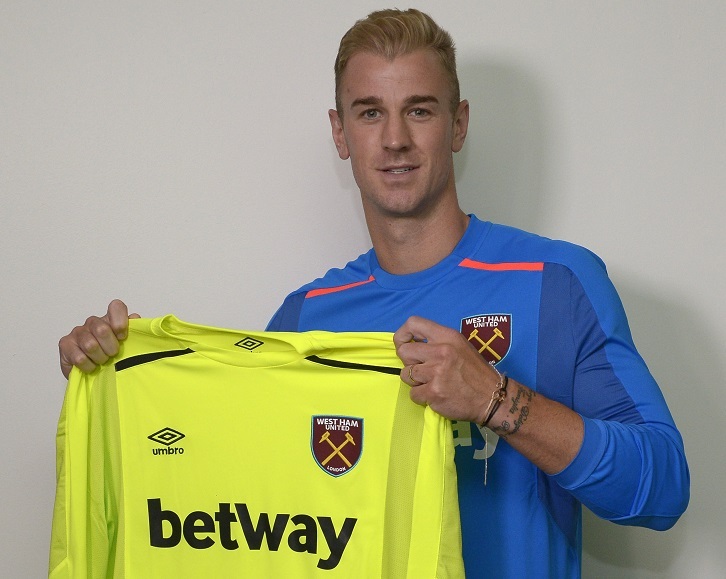 Loan deal without the balloon payment – Joe Hart is a Hammer next season. Hart has already gone on loan to West Ham for the new season, where City will subsidise his wages but get a loan fee in the region of £4.5m. The other three will presumably be sold, regrettably for less than City paid, but at least they’ll be off the wage bill and will generate incoming transfer revenue. Bony is set for a return to Swansea, whereas there are no firm takers for Mangala and Nasri at this point. Kolarov is back in Rome and Nolito has joined Sevilla in sunny Spain. 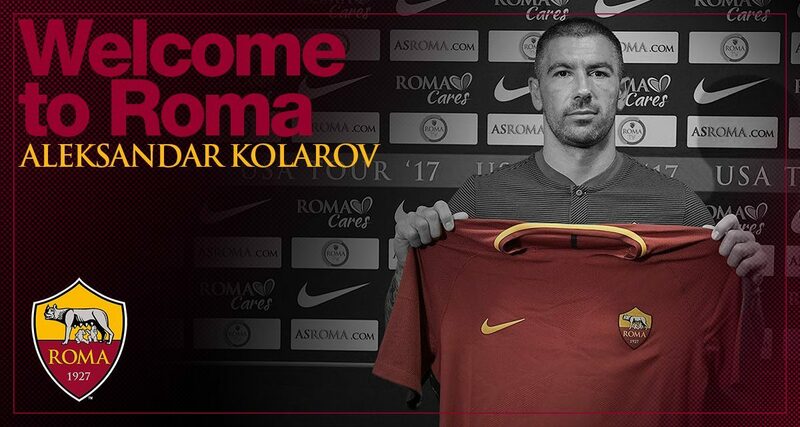 Kolarov – Back to Rome, but this time to the red of AS Roma rather the blue of Lazio. Fernando looks bound for Galatasaray in Turkey, whereas Kelechi Iheanacho is set to switch to Leicester City. City are reportedly holding out for £14m from Stoke for Fabian Delph. The sale of a quartet of players who didn’t even make a competitive first team City appearance – Mooy, Unal, Zuculini and Ntcham – brought in a combined fee in the region of £27m. Every little helps. City could and should get at least £110m in fees for all the outgoing players – and that’s being a little on the conservative side. 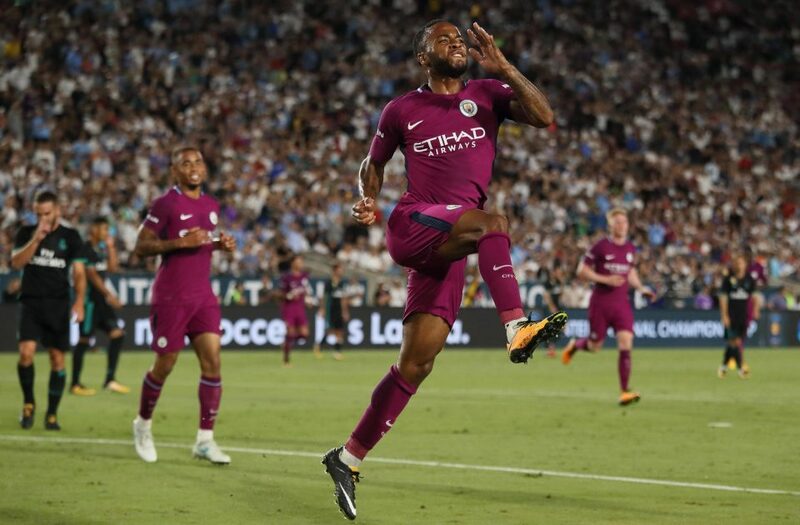 Sterling return – Raheem celebrates his goal in City’s 4-1 thrashing of Real Madrid in LA on the US pre-season tour. 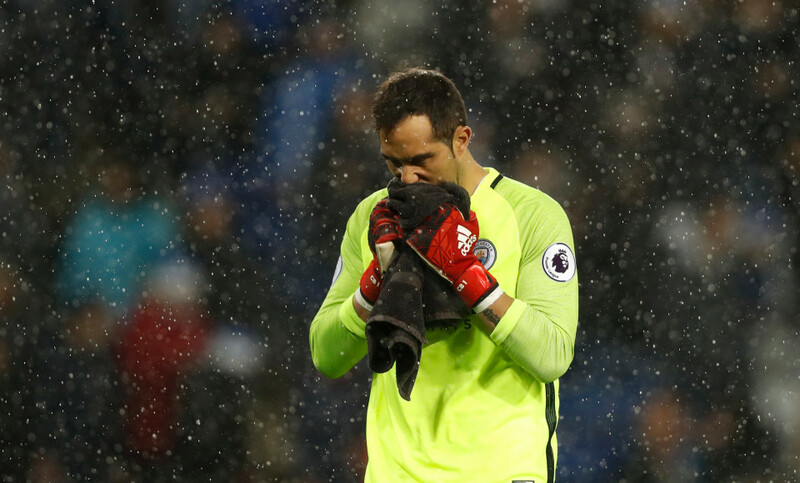 Wages saved are more difficult to quantify, but the clever money would have City paying something in the region of £45m a year to the players who have left the club, or who City are seeking to sell. Based on those figures, City will save £225m in wages over the next five years, as well as generating a transfer cash injection of £110m – that’s £325m to the good, up until 2022. Kyle Walker has had an immediate impact on City’s right flank. 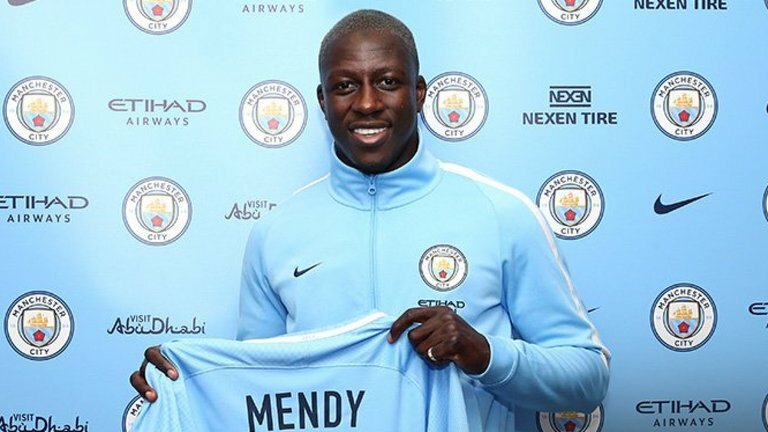 City have so far paid out £210m acquiring Benjamin Mendy, Kyle Walker, Ederson, Danilo, Bernardo Silva and Douglas Luiz. Their collective annual salaries are likely to be in the region of £20m, meaning a projected outlay of another £100m up until 2022. Add the transfer fees and salaries together and you have a total of £310m. Get a grip – City’s shirt sleeve sponsorship deal with Nexen Tires will help balance the books. Based solely on the transfer buys so far in this window, and the premise they sell the players deemed surplus to Guardiola’s requirements, City could conceivably be £15m better off over the next five years. Even if the salaries of the new half dozen players was £25m per annum, rather than £20m, City will still pretty well balance the books over the five-year period. 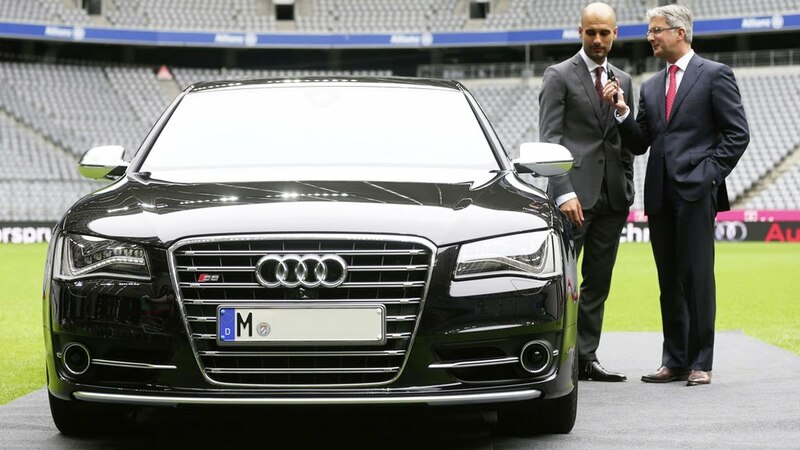 Driving Force – Pep has City on the road to success. 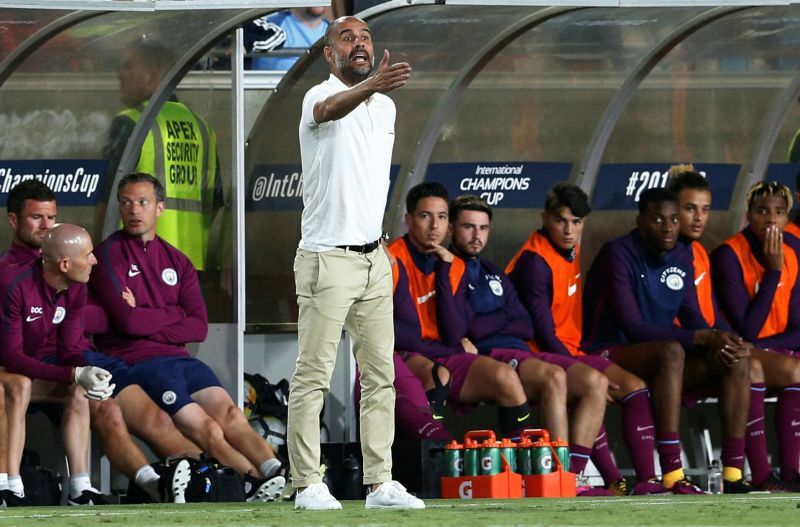 It’s a subjective game of numbers, but one that Pep believes will drive City’s Premier League and Champions League ambitions, leaving the club’s detractors as mere specks in the rear view mirror. Colin Savage is a lifelong City fan, well respected for his knowledge and insight on financial and political aspects of football in general, and Manchester City in particular. A contributor to the King of the Kippax fanzine, you can follow him on Twitter @PrestwichBlue. Cheers Guvnor, we'll also have to ensure our Big End doesn't go! It took more than a couple of perusals to get to grips with this !!. Basically it all makes sense when taken over the 5 year cycle and I don't have a problem at all with the net spend theory - It is after all fact and not fiction. Over the 5 years period Pep's new super motor is going to have to deliver all it promised when first purchased.! Slip into 'automatic' mode it's a lot easier! We'll send the rev counter off the scale! Thanks Eileen. Really interesting David I had to read it two or three times to understand how I blame the illness , all we need to do now is win some prize money. Cheers PG - Colin did the number crunching and the clever bits, I just waffled around it ;-) Hope you and Team Glennon are good and I look forward to seeing you all in the new season. Take care my friend and thanks for reading and taking the time to comment. Increasingly water off the proverbial duck's back. If anything it brings the majority of City fans together based on the fact we know the media can't abide City's success. We can laugh at the idiocy of their bias - it becomes increasingly obvious as they become ever more desperate to disparage the Blues. A fleet of the most exciting motors steered by the one of the greatest and most intelligent coaches of our generation! I'm revving up for what I expect to be the most exilorating footballing journeys of my life!!! Buckle up Blues, this season is going to be amazing!!!! Great article Dave!!! Cheers Tinners there are certainly grounds for so much optimism this season, much more than last year as it wasn't Pep's team by a long long way. Thanks for the feedback, only of some of which I'm due, since it was very much a collaborative effort with Colin. Usual high quality David and even a little mathematical science! To say im looking forward to this season would be a massive understatement!!! Love your work big fellla! It certainly lends insight into the fiscal goings on behind the scenes and counter balance to the tired and boring assertions that City are ruining football. Thanks for your comments. This article is so well written and researched, you could be forgiven for thinking an accountant and a journalist had put it together. Great read as usual. Great work Dave & Colin, great to know that we are busting down doors & are still clear of the discredited FFP, shame on UEFA & the Gilluminati. The window has been brilliant to date & there is a noticeable shift in our fans attitude, gone are the defensive postures now we are delighted to hear about our spending & glory in the fact that there's more to come. A big FU to all the knockers, can't wait till the season starts, come on City let's clean up!!! Yes indeed FU-FU to the knockers :-) Between us we wondered whether we should collaborate as the Savage Walker, and that got us to thinking whether or not we should take lessons from Kevin Horlock in aggressive walking? You're bang on with this transfer window being successful, and there's no way City's business is done. Sanchez and/or Mbappe are clear attacking targets and then we have the debate about strengthening at centre back and additional cover in the full back slots? A fully fit and sustainable Kompany would be better than any new £60m central defender, but if Vincent succumbs to injury, City cannot rely on Stones, Otamendi and Tosin to see us through to the very highest honours this season. Danilo's versatility in either full back slot is a bonus, but Bertrand would be a good acquisition at the right price. That said, if any player who can kick a ball straight in this transfer window they're seemingly worth £20m as a starter for 10! Bloody ridiculous. Thanks as ever for your comments. Although the media are full of City ruining the world by spending lots of money, I’m actually getting concerned that our squad will be too small to properly challenge for trophies next season. We’ve brought in some high-quality signings and seem likely to sign another two, but are moving out far more. I know Pep will talk up the value of Danilo’s and Fernandinho’s versatility,and the benefits of a close-knit group, but if/when two or three key players get injured/suspended, we’ll potentially be in trouble. Assume Ederson and Bravo, backed up by a kid. Walker, Mendy, Danilo as full backs (Fernandinho at a pinch). Vinnie, Otty, Stones and another (Martinez?) at cb. Pretty good. We’ve loads of creative midfielders/wide forwards: Silva, De Bruyne, Bernardo Silva, Sterling, Sane. Assume we sign Sanchez (?!) and he can do that creative job as well as compete with Sergio and Jesus up front. That’s 18 senior players; my main worry is only Yaya and Fernandinho (Gundogan injury prone) in the engine room. A squad of twenty one, with four spaces left empty. And both Vinnie and Gundogan are huge fitness gambles. I’m assuming all those I’ve not mentioned will be loaned out or sold. What if Fernandinho, Yaya and Gundogan are injured or suspended and Danilo is already needed at full back? It makes it seem crazy to me that Aleix Garcia seems destined to be loaned out. For me, he should be groomed to challenge for a central midfield role long term – saving us about forty million, too. None of the kids on the pre-season tour play that role. Ross Barklay linked in today’s press; he’d excite me, but I don’t think he can do that holding role. Move for William Carvalho? Am I the only one concerned? A very good synopsis of the squad and its strengths and weaknesses. 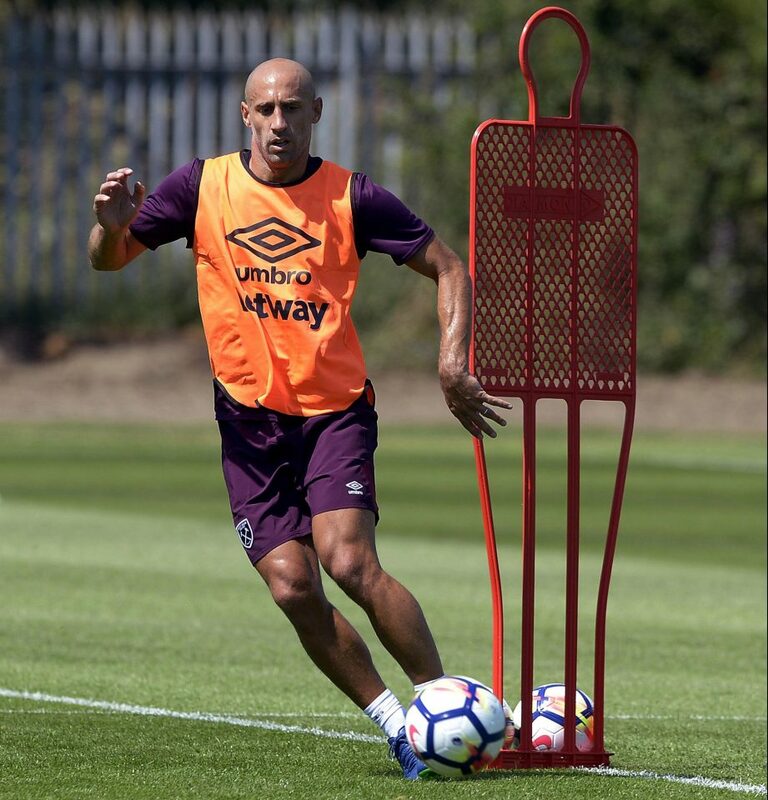 Given that we are obviously in for Sanchez in a big way, with Martinez at Real Sociedad mentioned as a possible central defensive recruit, we may well be short of a midfield 'dynamo' destroyer. Carvalho has been linked with us at circa £25m-£30m, the problem as far as I see it, is that Carvalho has been linked with lots of Premier League clubs in recent times but nobody has moved for him - why not? I'd love Verratti from PSG but that seems unlikely. We can but hope the apocalyptic scenario of injuries and suspensions doesn't come to pass. What also concerns me (how long have you got?!) is the lack of a "plan B" target man. For my money, we need someone built like Dzeko, Aubameyang, Lewandowski etc more than we need Sanchez, great player though he is. I can't see Pep going for a target man type Plan B - he's more likely to go for a false Number 9 approach. Time will tell. Why do you have so many concerns? Interesting analogy. I have known Clive for more years than we both care to remember, and have always found his financial analyses to be spot on. Not to mention his twin brother Colin ;-) Sorry George, couldn't but should've resisted. Thanks for reading and commenting. I have no idea why I wrote Clive. "if ever there was a contradiction in terms FFP is it", been saying this for a long time, nice to see it in print. Clubs and businesses usually go out of business due to lack of money not profits, there is a difference. As long as City are owned by the current owners what are te chances of us running out of money? 131 Paranoia...or are the pundits really out to 'get' City? As an award winning news journalist and communications specialist it only took me four decades before I decided to marry my writing skills with my love for Manchester City Football Club. A season ticket holder for countless years, I am passionate about MCFC, but it doesn't do to view the world through entirely sky blue tinted glasses. Undeniably biased, but not blind to reality, I write it as I see it in a colourful fashion, sometimes sprinkled with what passes in my world as humour, albeit often of an irreverent nature. I can only hope it's well received, but if not, then I'll have been read but never read again. It's all about opinions and these are mine on Manchester City FC and all who stand in its way. Copyright © 2019 Read but Never Red. All rights reserved.